Do you know how to ‘learn, unlearn and relearn’? This quote from Marc Engel, Unilever’s Chief Supply Chain Officer, aptly describes the State of Supply Chain moving into 2019. A high quality gathering of some 800 executives from around the world, the Gartner Supply Chain Executive Conference is a fine acid test to assess the current state of supply chain heading into 2019. Whenever you are a supply chain manager, COO, CPO or head of demand planning: are you ready to learn, unlearn and relearn the fine skills and best practices of supply chain management which are required of you to thrive and survive in 2019? A different mindset is needed if supply chain organizations want to ride the waves of change, rather than being inundated by them. Some including Gartner themselves even argue in favor for a new perspective on the supply chain discipline and definition. After all, does a linear, start to finish mindset do justice to a business world that increasingly operates in sprints, iterations and short cycles? Gartner quite aptly launched the notion of a supply chain cycle instead. This seems a far better perspective, so perhaps we should refer to supply cycle management moving forward. Gartner may stand for technology for most of you, and so does its magic quadrant. 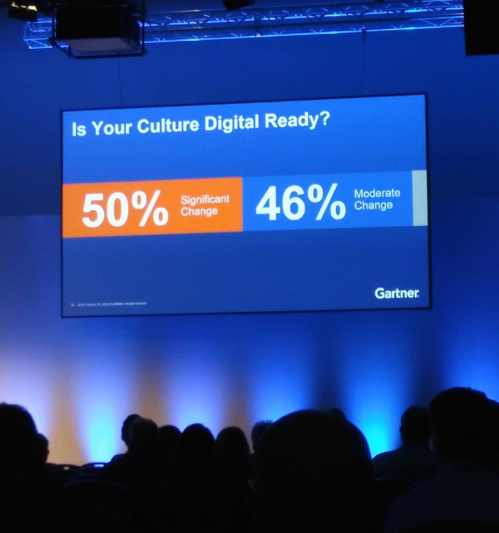 A common denominator however of this Gartner Supply Chain Executive Conference’s edition was the emphasis on the human factor as the differentiator moving forward. Whilst process, technology and data sometimes seem to claim a position as ‘silver bullet’ solutions, it’s people, stupid! Real professionals in supply chain management however are scarce. While well-balanced supply chain teams are a mix of all three, it’s John Galt’s observation that there is usually a surplus of engineers, a fair number of integrators and a modest number of pioneers. It is perhaps because of this team composition that the supply chain discipline often prides itself as a factor of stability, rather than setting the pace for change. Running a stable state and achieving operational efficiency thus seems to shape the supply chain manager’s agenda, way more than coming to disruptive business models or fundamentally reshaping a firm’s supply chain planning paradigm. The retorical question therefore is whether running a stable state is good enough in supply chain management moving towards 2020. What factor determines a supply chain organization’s propensity to change? Next to developing your human capital, culture is a critical success factor in supply chain organizations. While you find the adage ‘culture eats strategy for breakfast (and dinner)’ to be a little over the top, culture does prove a strong catalyst for change in supply chain management. As Unilever’s Marc Engel and 3M’s Jon Lindekugel point out, culture is a prerequisite for any successful supply chain operations moving into 2019. Culture comprises many factors: both explicit and implicit. Examples of the former, explicit category are an formal or informal dress code, the layout and location of offices and factories and the emphasis the company places on heritage versus innovation for instance. More implicit elements of the corporate culture are patterns of behavior, norms and values and all those more tacit elements that determine what course of action a company would favor or shy away from. The national culture of a company’s origin obviously will have some impact too. The dominant culture may be either exploratory, adaptable or agile. Whatever industry you are in, Gartner advises supply chain professionals to assess your company culture and disrupt your attitude to risk. With goals being stretched in most industries, a bold ambition with a risk averse culture makes a poor blend. At Cisco for instance, more empowerment and taking risk are now central to the Cisco culture. In Marc Engel’s view, the combination of digital talent and culture are the make or break factors to going digital in any supply chain organization. Finding the right people in the supply chain profession is getting more and more cumbersome. 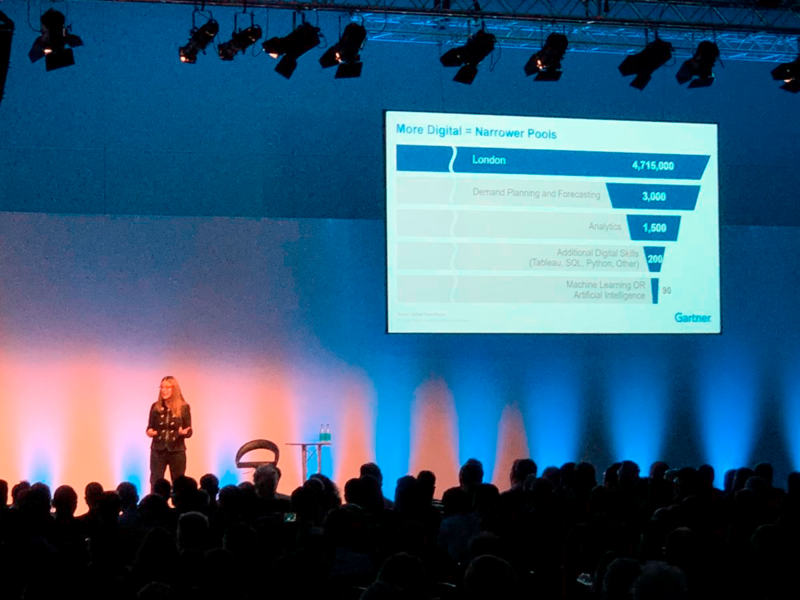 Gartner showed a funnel of supply chain talent in the Greater London area, depicting an ever more narrow funnel of only 3,000 local demand planning and forecasting professionals, only half of whom have analytics skills. Of the 1,500 professionals who have analytics skills, only some 20% possess additional digital skills like Python, SQL or Tableau. Those professionals that are savvy in machine learning or AI only make up 3% of the demand planning and forecasting workforce, or only 90 (!) people altogether. As business professionals in supply chain gear up to take on new challenges in 2020 and beyond, the emphasis in their job requirements is shifting. Marc Engel describes this change as a move from IQ to EQ to SQ to DQ. Whilst the IQ to EQ shift constitutes a move from focus on intelligence to emotional intellect, SQ stands for Social Quotient and DQ represents the Digital Quotient that supply chain professionals should bring to the job too. This seems a rare mix of skills that few mere mortals have an abundance of. This may be exactly the reason why Gartner invited a famous Olympian up on stage to share his experience with the supply chain community. Sir Matthew Pinsent eloquently took the Gartner audience on his journey of winning four (!) 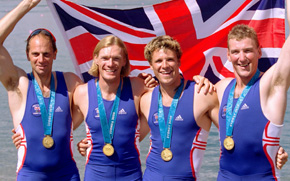 consecutive gold medals in rowing at the Olympics. ‘Performance under pressure’ may seem valid for any profession these days, yet preparing 4 years to outperform the competition in a mere 6 minutes of rowing is really another story. Matthew Pinsent candidly shared a number of his lessons learned for the crowd to draw parallels with life at the supply chain manager’s office. First of all: as in business, data are an athlete’s best friend. Matthew Pinsent stressed how his German coach Juergen tracked everything in big binders to ensure that any opportunity to learn and refine was captured. The British Olympian also pointed out how one should keep a laser focus on all issues and problems as soon as possible. This helps to get everything out in the open and find little improvements anytime. After all, Pinsent claims, after 4 gold medals there is not a lot of low hanging fruit. This represents a great lesson learned for supply chain folks as well: the sooner we can get issues and problems in demand planning and forecasting on the joint radar screen, the earlier we can start learning from them and fixing them. Thirdly, as Matthew Pinsent said, winning is a combination of the proper team composition and team spirit. Jokingly, he added to prove his point: ‘it does not matter what you do, as long as you all do it!’. Want to get into execution mode? See what you may learn from ABB. Eva Bouchoux (Global Operations Strategy Lead) and Daniel Helmig (Group Head Quality & Operations) explained how a giant company like ABB embarked on a 1,000 journey of transformation. The business case for change was made not only on a Hackett benchmark that showed ABB was lagging behind its key competitors. The sheer numbers also underlined the need to reduce weight: the company spent Euro 500 million with 1,100 suppliers, and had built up a vast amount of 60,000 direct suppliers and well over 100,000 indirect suppliers worldwide. Moreoever, ABB had implemented 54 ERP systems globally. The majority of the 1,000 days programme were spent on getting the blueprint finished. This very much reflects the Swiss/Swedish consensus culture that is home to the ABB company. As most time was devoted to planning and paving the way for supply chain change, this left the ABB team about one year for implementation. And they pulled it off! Digital is here to stay. According to Gartner research however, only 8% of companies have a digital supply chain roadmap, whilst 81% find scaling ‘up, across or out’ a key challenge. Here is the irony: whilst going digital is a key prerequisite for true scaling up of any business, most companies merely pay lipservice to it. A digital, sane foundation to scale therefore increasingly is a Must Have in running and improving any worldclass demand and supply operations. Although probably most if not all supply chain executives would agree that the insight ‘the world is changing’ is increasingly an understatement, few supply chain professionals actually gear up to embracing being digital. 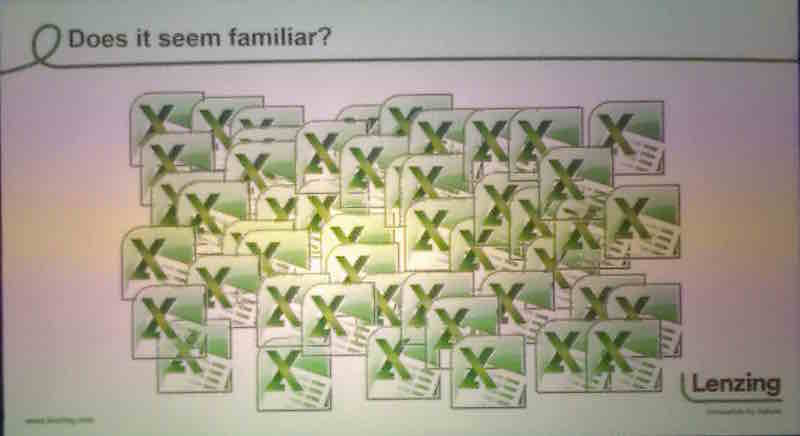 In John Galt’s opinion, being digital goes beyond moving from paper to Microsoft Excel. Do you experience an ever growing number of excel spreadsheets in your supply chain operations, and are you faced with the challenges of better teamwork, version control and smarter demand planning to name just three? If you want to move from merely ‘doing digital to being digital’, check out new answers to your demand planning and forecasting challenges by the forecast experts on www.johngalt.com or submit your question to the John Galt team of forecasting geeks.